The shifting focus of the educational institutions towards technology helps to operate and interact with students, alumni and staff members in an innovative way. But, this will be ineffective if the focus on them is lost. It is true that the technology is paramount in every sphere today and to cope with the rising demands, it is essential for the educational institutes to change their style of working. The institutes are in a financial press and to get through the problems of falling revenues and rising costs, more and more institutions are moving to Customer Relationship Management (CRM) software system. The software tool not only helps in reducing the cost but also increases revenue, identify new opportunities, and channels for expansion, improving customer value, satisfaction and profitability. “The education sector is witnessing a huge change in the way prospective students are getting to know about them (digital marketing), engaging with them (social media), and converting into paying students (multiple influence points). Many of these students are in their teens or early 20s and hence are some of the earliest adopters of new technology. The dynamic nature of this demographic forces a lot of education companies to rethink how they are reaching out and talking to these students,” informs Shreekala Kurup, COO, Crack Verbal. While CRM is widespread in corporate sector, its usage has been limited in education sphere. With the rising service expectations, universities have to realign their strategies to serve students across their entire student life cycle. But the usage of CRM will definitely play a wider role as the educational institutions may benefit from CRM by improving student facing processes, personalising communication with students, sharing information among departments, and increasing student retention and satisfaction. Having been one of the booming technologies for organisations and institutes to decrease cost and increase revenue, this solution also helps in trimming the expenses, quality effectiveness of the recruitment process and stabilising existing relations with students. 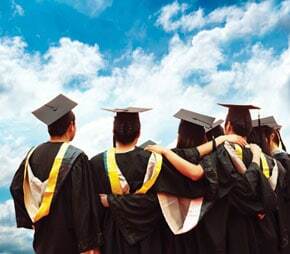 The use of CRM systems helps the educational institutions attract and withhold correspondingly qualified and prospective students, better relationship with corporate, improve the conversion coefficient and cut down the number of lost opportunities or applicants. To speed up response processes, many communication elements can be automated. It can shorten the overall length of the enrollment process, reducing recruit attrition. It opens the doors to e-document submission and submission besides assisting in spotting trends which become the feedback for other departments included in the process. The usage of CRM can help efficiently manage staff, faculty, administrative and student information and later result in significant improvements in employee efficiency, daily working processes and cross-department collaboration.Proper lead tracking and reduction in the errors or duplication of entries into institutes reduce the time of the executive for following up with the similar lead which is admitted from different source and provides further merging if there is any duplicate entry done. Educational institutes increase their revenue because the lead is properly converted into an account with the help of dormancy module. CRM allows to have a less length of the sales cycle due to dormancy module every lead is properly nurtured with the lead history on where most of the time is been given converting the lead into an account. The CRM allows to have a proper allocation of the money in different areas like advertisement for varied courses, road shows etc as the CRM provides you with the graphical view of how much return every medium is providing in terms of expenses incurred. Customer with higher satisfaction at every stage of the lead is been integrated with predefine SMS and email with different course so when an inquiry is made by the student sms is send to the mobile number which creates confidence in students. In present times, with the advent of the internet, most education companies have the means to attract the best students from a wider pool. The student of today is enhanced bombarded with tones of information from various sources. “The differentiating factor that the student is looking for is someone who can answer his/her queries promptly, and engage from the get-go in a relevant way. This is where CRM assumes huge significance in this domain. Email sequences and automated campaigns are some of the ways in which CRM is being used in this sector,” explains Kurup. At the outset, an institute that is considering moving to a CRM needs to be forward-looking and technology- savvy. Institutes need to understand that for a CRM system to really work, there has to be a way by which everyone in the organisation is empowered to both information as well as ability to make decisions. So, in some sense CRM would require an institution to revisit its own workflows to see what changes need to be made to leverage the full functionality of the CRM. The crucial advantage of CRM comes into play when scaling up an institution – it reduces the manual effort that goes into customer management by a huge factor. So, if an institute foresees a spurt of growth in the near future, it would profit a lot from adopting CRM. The emerging CRM processes and technologies will drive the growth of new types of resources and services. This new functionality is much focused in the student area and precisely in the higher education side. The performance of the technology will have an impact on students, administrative staff and management. A key to any CRM implementation is to understand that the details will vary from company to company. A suggestion would be to pick up a few key metrics such as student acquisition cost and student service cost, and then measure the success based on the reduction in the costs in those parameters. This way, it will be easy to justify any further investment made on the CRM system. CRM delivers conceptual and instructional framework for directing institutional activities to attract and retain its various customers. The benefits of implementing CRM are far reaching. Adopting the technology will increase the revenue up to 42 per ent, decrease in cost of sales by 35 percent, decrease in order errors by 80 percent, reduction in length of sales cycle by 25 percent, increase in margin by 2 percent and increase in customer satisfaction rating by 20 percent. The use of CRM drives the growth of new types of resources and services. The new functionality will be focused in the student area. The student related functionality and performance will have a greater impact on students as well as on the administrative staff and management, the faculty and institution as a whole. CRM has a major impact on schools through shifting the focus from product to customer or client. The purpose of CRM for education institutes is to increase the pupil number, to improve pupil outcomes and so on. A good CRM helps the schools to grow. With the increasing number of satisfied parents, and positive endorsements to prospective parents will lead to adding more numbers to the school. It is also necessary to involve practical strategies for engaging with parents or the wider community. In an effort to understand how education relationship management tools are supporting students through the entire lifecycle, it is essential to deploy a good system of CRM to report the efficiency achieved by the users. A survey done by American Association of Collegiate Registrars and Admission Officers shows that 80 per cent of respondents reported seeing increased efficiency with the use of CRM, including efficiencies in advising, alumni development, registration and student support service. The report also finds that CRM has a significant influence on changes in practice and staffing. 82 percent of respondents have indicated that there had been changes in practice according to the survey done by American Association of Collegiate Registrars and Admission Officers. The CRM system has little to offer particularly to the technology savvy students of today who want to be more in control of their learning environment. They need higher level of access to information about their performance, and their future. They also demand that technology resources be an integral part of their learning experience. With the virtual access to faculty and students, the old way of interacting with them is untenable.